Some people are obsessed with summer rain, others are totally in love with long days at the beach — but for us, summer is all about the seasonal produce. Seriously, there really isn’t a better time of year for fresh, juicy fruit. And while we totally enjoy a piece of ripe summer fruit on its own, when you take it and elevate it into a decadent dessert, well, that’s just heaven right there. I have a special place in my heart for mangoes. They remind me of summer vacations to my parent’s homeland as a little girl and Hawaiian retreats these days with my little family. 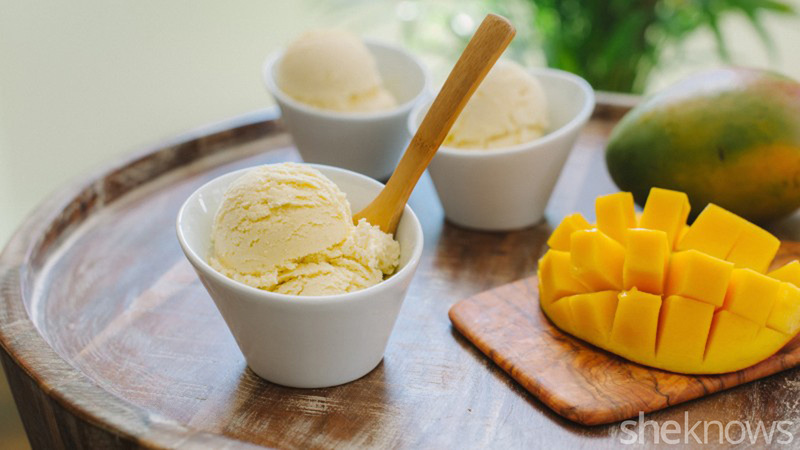 I can barely keep them in the house, my kids love to eat them freshly sliced, but if I can sneak a few, I can transform it into a Dairy Free Coconut Mango Ice Cream! The base is coconut cream, and all I need is a blender and some churning to rival a traditional cream and egg custard. The blender purées the mangoes with a little lime juice, which I whisk into the coconut cream. Sweetened with nothing more than honey, it’s incredibly refreshing by the scoop. 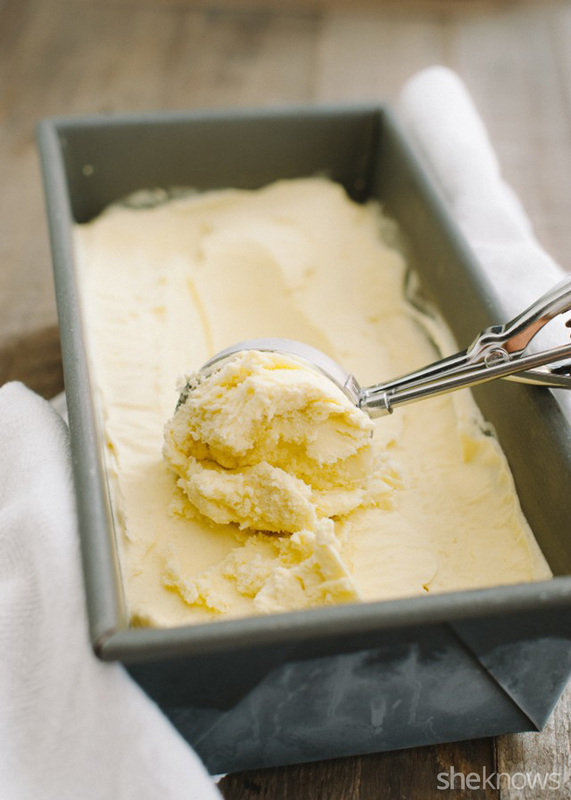 Prepare the bowl of an ice cream maker by chilling in the freezer for at least 24 hours. 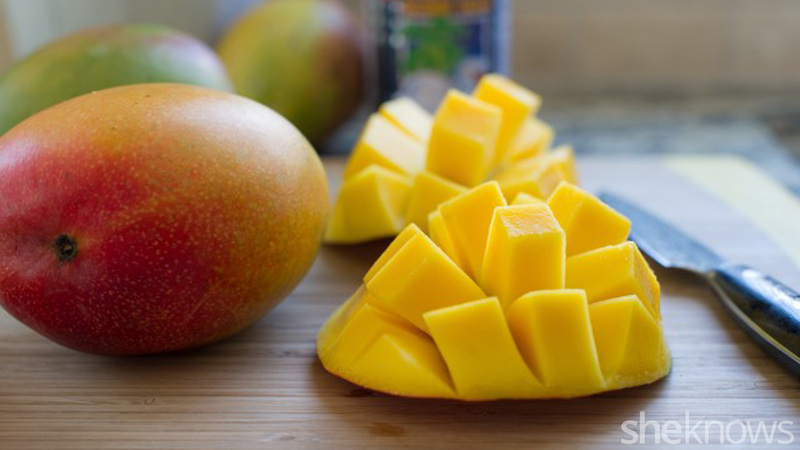 Cut the mangoes on either side of the pit lengthwise. Discard pits. 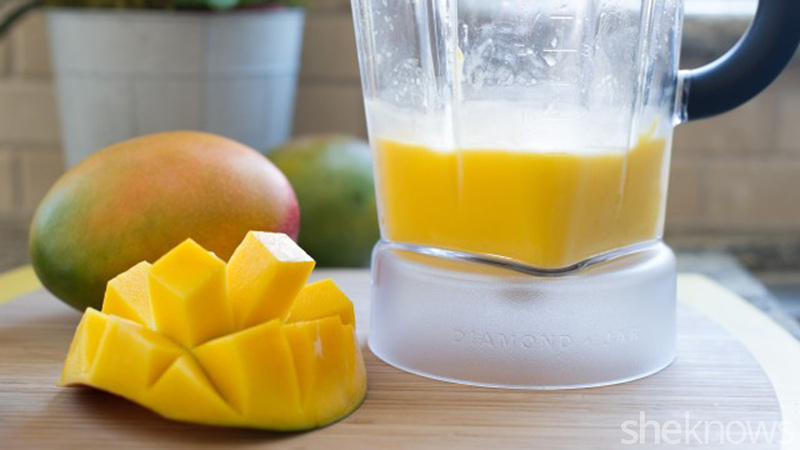 Scrape the mango pulp with a spoon into a blender and purée. 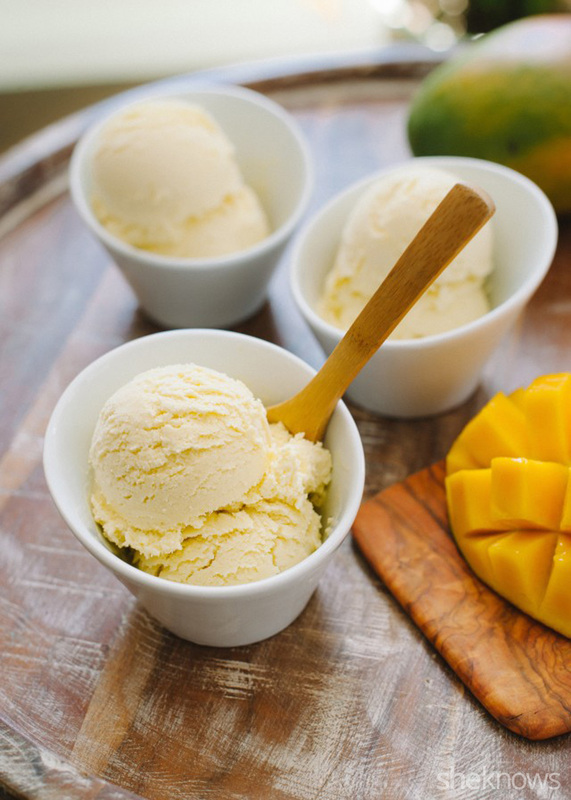 You should have about 1 1/4 cups of mango puree. Add the honey and lime juice and puree until smooth. 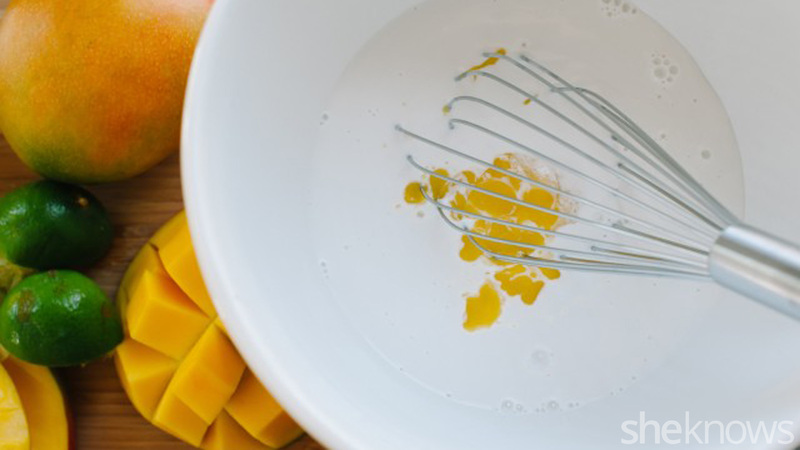 In a large bowl, whisk together the mango purée and the coconut cream. Cover with plastic wrap and refrigerate until very cold — about 4 hours or overnight. When the cream is chilled, transfer to an ice cream maker and churn for about 10-15 minutes until thick and at your desired consistency. Transfer to a loaf pan or similar container, lay a piece of parchment paper on top of the ice cream and chill in the freezer for at least 1 hour before scooping and serving. With summer comes the galette. Galettes, for me, are one of the few things worthy of turning on the oven in the summer months. I especially love them because the free form nature is so forgiving for people who struggle with crimping dough (that’s me!). Take whatever fruits you have available, but definitely try it with apricots while they are in season! 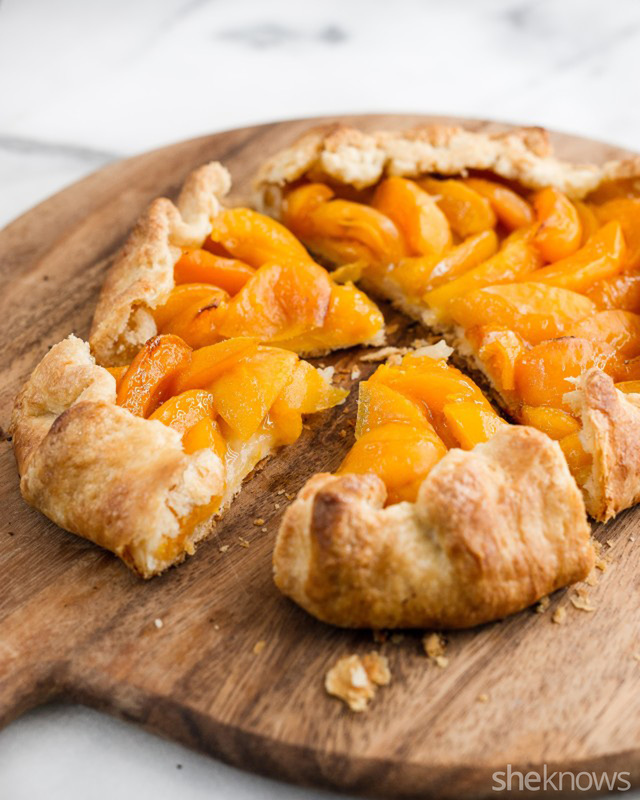 Get the recipe for Apricot Galette here. Figs are the highlight of summer for me. They are beautiful and alluring in every way. 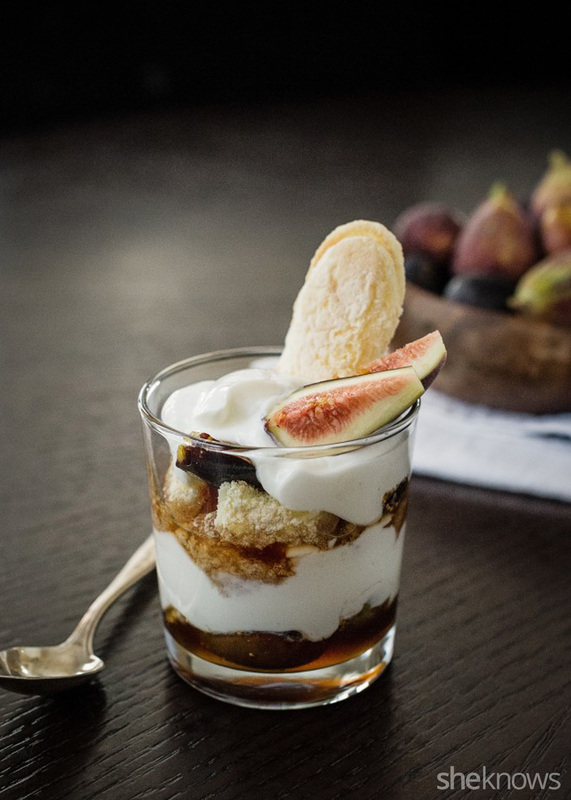 My favorite way to enjoy figs is in a Honeyed Fig Trifle, which, if you haven’t discovered the magic of honey and figs together, is a “must-try.” Get the recipe for Honeyed Fig Trifle with Goat Cheese Mascarpone Yogurt Cream here. Originally published August 2015. Updated June 2017.